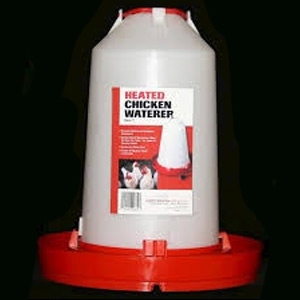 Complete gravity-feed poultry waterer with 1-gallon capacity. 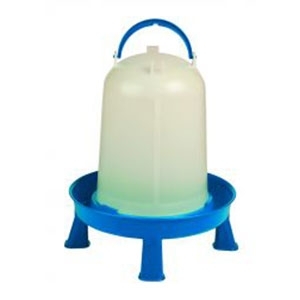 The jar is molded from durable transparent polyethylene so the water level is always visible. The base is heavy-duty polystyrene. Easy-fill screw-on design. Jar and base are also sold individually (Item Nos. 666 and 750). 9-inch diameter by 10.25 inch high. 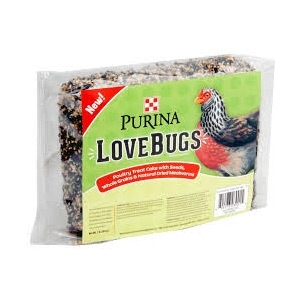 Best suited for adult birds. Made of strong, heavy-duty plastic. Top-fill design is easy to use. The valve in base controls water flow - close when filling, then open to allow water to fill the base. For best results, set waterer on flat ground before filling. 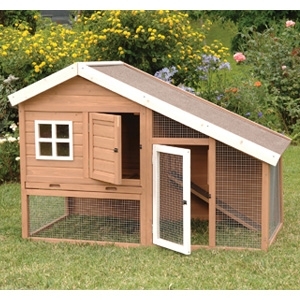 Accommodates up to 40 chickens, also good for ducks or other poultry. Holds up to 10 gallons of water. 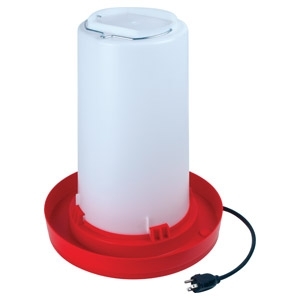 The larger capacity of this Double-Tuf 2 Gallon Poultry Waterer is great for your flock. Removable legs raise the waterer off the ground to keep dirt and debris from getting in the water. Molded from durable plastic for years of use. The translucent plastic body makes it quick and easy to check the water level. Holds 2.5 gallons/10 liters of water. 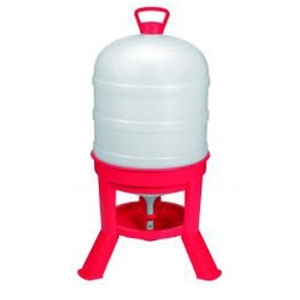 A great high-capacity Poultry Feeder designed just for the hobbyist. Removable legs raise the feeder off the ground to keep the feed free of dirt and debris. 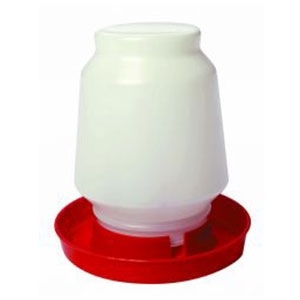 The built-in Feed Saver Ring minimizes spillage and prevents wasted food. Durable one-piece construction of the jar and Feed Saver Ring for quick and easy assembly. Made of impact-resistant plastic that won't rust or corrode. The included plastic lid protects the feed from the elements. Handy carrying handle. Holds up to 17.5 pounds of feed. 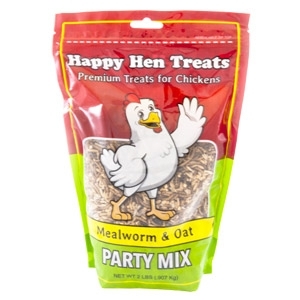 Want to make chicken's birthday extra special? 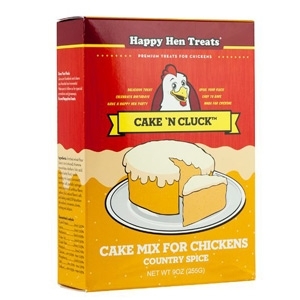 Bake them their own cake for their special day with Happy Hen Treats Cake 'N Cluck™ chicken cake mix! Don't want to wait for their birthday? 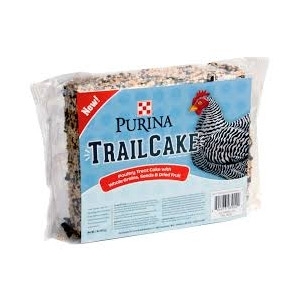 No problem, Cake 'N Cluck™ makes a great treat. 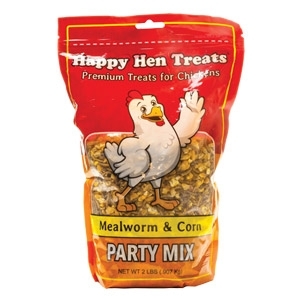 Plus you can get creative and decorate with icing and use Mealworm Frenzy for sprinkles. It's sure to be a party however you serve it. 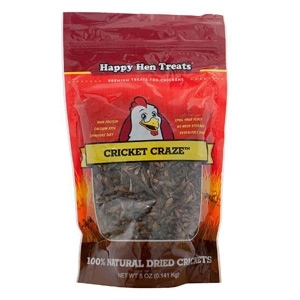 Our 100% all natural Cricket Craze ™ is a protein-rich treat for your chickens. 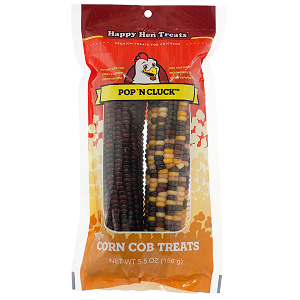 These treats can be fed from your hand, scattered on the ground, or in our specially designed Coop Cups! 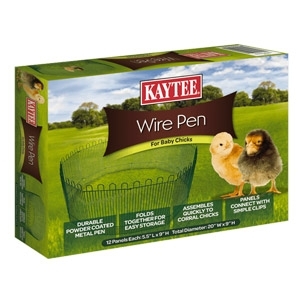 Kaytee Chicken Wire Pen for Baby Chicks is a durable powder coated metal pet perfect for corralling chicks. Twist closure will lock tight and allow chickens to peck at the toy to dispense food. 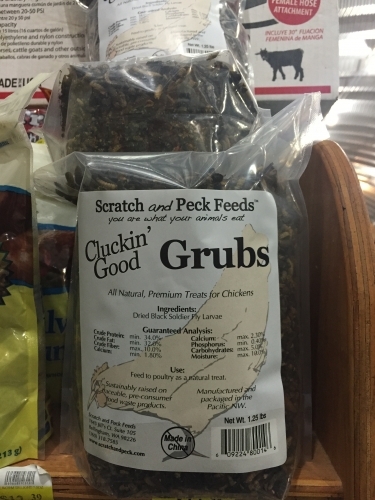 Cluckin’ Good Grubs are whole, dried black soldier fly larvae, an environmentally friendly feed supplement or treat to be used in conjunction with our balanced animal feeds. Our Grubs are a renewable food raised on traceable pre-consumer waste fruits, vegetables and grains that might otherwise go to a landfill. 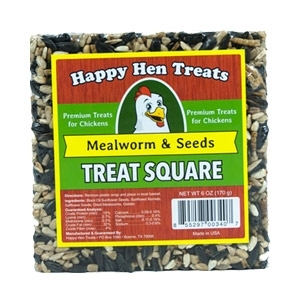 This 6.5oz treat square is all natural - we keep our treats simple by only using ingredients that chickens enjoy, ensuring that they eat every delicious morsel. 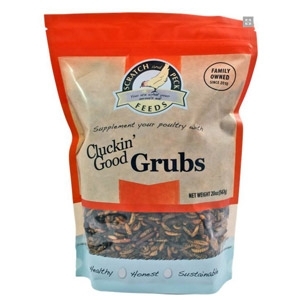 Northwest harvested fly larvae with 34% protein. 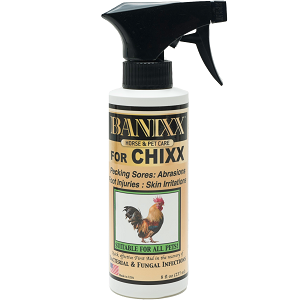 Great for your chickens. 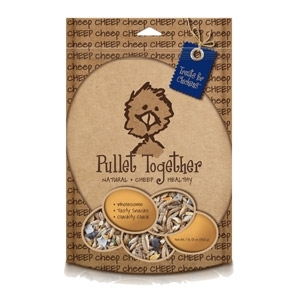 Come on - Pullet Together! This blend was created with non-GMO Wheat, Barley, Oats and Cracked Corn to satisfy flocks (and your pocketbook). Next, we added essential Oyster Shell, Sunflower Seeds and Mealworms. 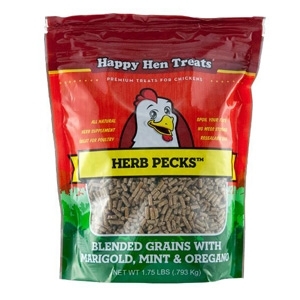 Wheat, Barley and Oats are widely used in poultry treats and promote fiber and add nutrients to the treat. Cracked Corn is a regular favorite. Oyster Shell pieces contain calcium to enhance strong egg shells in laying hens and the bones of all birds in general. Sunflower Seeds contain good oils and well, chickens just love them. 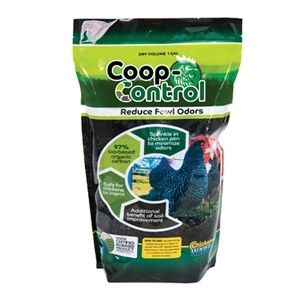 Our Layer Feeds are designed to be the healthiest and most natural product available for your laying hens. 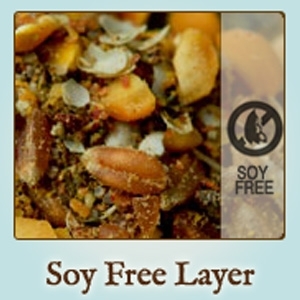 This complete Layer ration is formulated in two ways; our Soy Free Layer contains corn and our Naturally Free Layer does not contain corn. 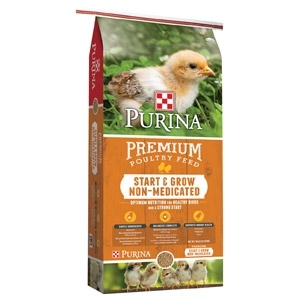 The grains are left naturally whole in this feed rather than highly processed into pellets. Raising chickens can be a fun and enriching experience, and there are so many rewards to keeping chickens. They have amusing personalities, are low-cost to maintain, and they provide organic, hormone-free and nutritious eggs. 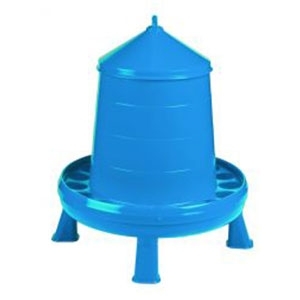 Thermostatically controlled, keeps drinking water ice free.